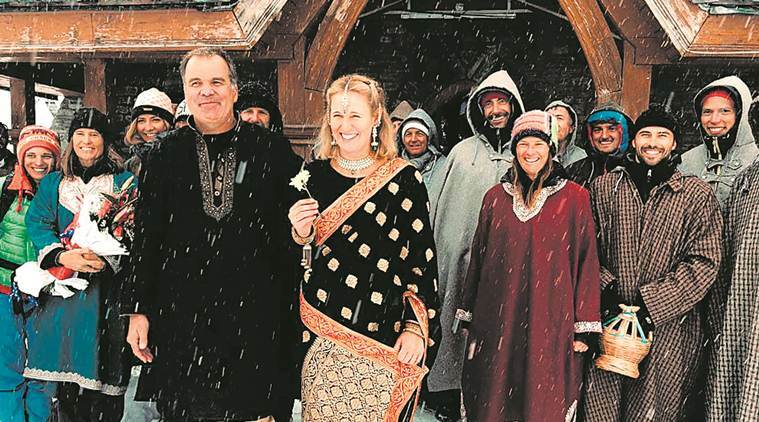 Srinagar: Kashmir’s oldest Protestant Church in Gulmarg ski resort came to life this Thursday with the ringing of the wedding bells as an Australian couple tied the knot there. Former chief minister Omar Abdullah greeted the newly wed as he posted on his twitter page: “30 years since the last one, Gulmarg’ s historic church plays host to another wedding. Congratulations to Kate &amp; Tim. Here’s wishing you both a life time of happiness”. “More from Kate &amp; Tim’s Gulmarg wedding. A destination wedding with a difference. Nice to see some of the wedding party on skis”, Omar said.